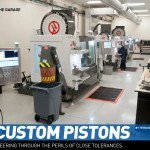 Denver, Colorado: Though piston maker Gibtec was established a mere two and a half years ago, the individuals behind it have specialized in Pro Stock billet piston development since 2003. 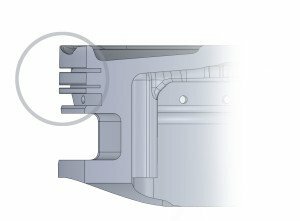 On forced induction and particularly nitrous engines, the top ring groove is moved down to around 0.420in to 0.430in from the piston crown. “Often it’s the intake valve pocket, which is always bigger than the exhaust that determines the position of the top ring. 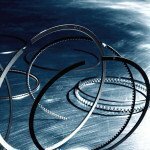 Compact rings and therefore small ring grooves provide more potential for variation in ring placement than larger ring grooves. For example, a naturally aspirated engine with a top ring of 0.6mm (0.0236in) axial depth and 0.110in radial width, which requires a ring groove width of 0.115in, offers more pocket clearance than the top ring spec of a nitrous engine, which might measure 0.043in axial depth and 0.173in radial width. 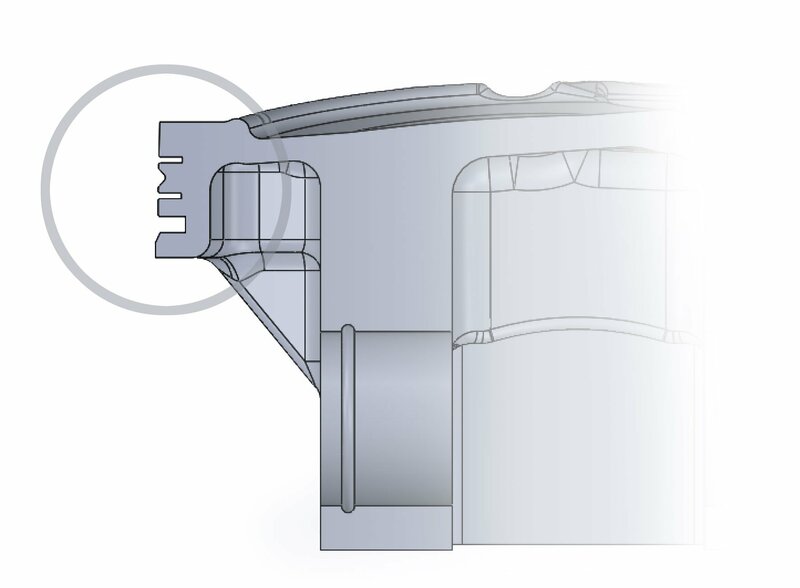 On naturally aspirated engines, the higher the top ring placement, the smaller the crevice volume between the piston and the cylinder wall, thus the quicker the reaction of the charge. “But on most small-block applications with a standard in-line valve pattern and a power adder, lowering the top ring to around 0.300in protects it and the top land from potential detonation and other conditions that may occur in forced-induction applications. 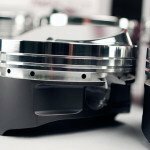 “With the top ring positioned at a dimension of 0.260in down from the piston crown, the piston will accept 250 to 260hp shots of nitrous. The big consideration with nitrous is air-fuel ratios. 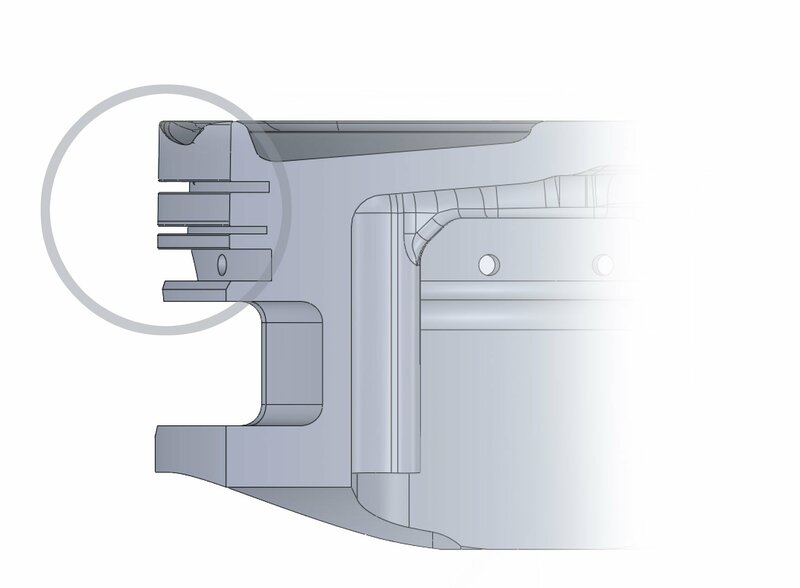 If they are inconsistent no amount of top-ring-down placement will save the piston. 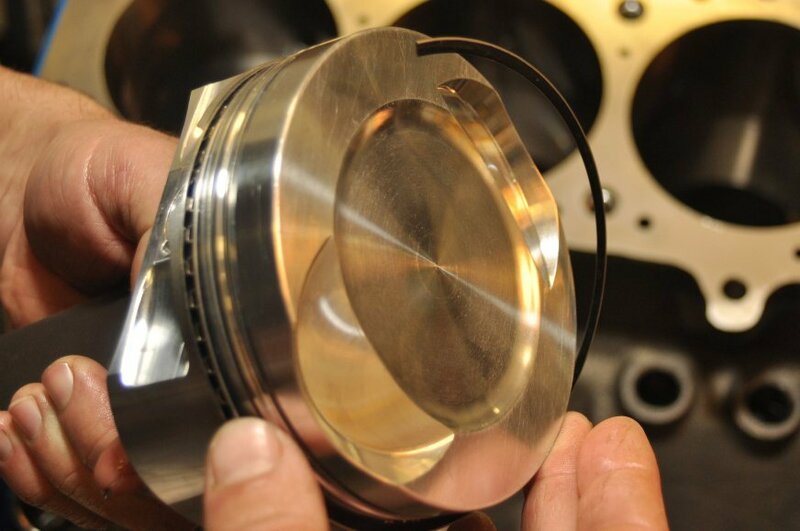 When Rob Giebas began his career in the competition piston business over two decades ago, top ring dimensions of naturally aspirated applications were likely to be 0.043in x 0.145in or 0.155in. Today axial depths of 0.6mm (0.0236in) x 0.110in or even 0.95in ring radial widths are commonplace. Generating less friction in the cylinder remains the endeavor. 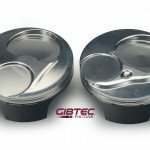 Gibtec Pistons were exactly what the drag racing performance industry was missing. These are 1st Class, high quality Pistons with all the extras. They exceed anything we’ve seen–Their strength and support is evidenced in their design which optimizes performance, stability within the bridge,and added HP through certain standard add-on features that are normally extra elsewhere. I’m really impressed with their specific attention to details. The radiuses, deburring, finish, and overall superb architecture. Looking at a Gibtec Piston is like looking at piece of artwork. I don’t think we could ever go anywhere else now comparing the quality and price to what our options were before. Thank you.